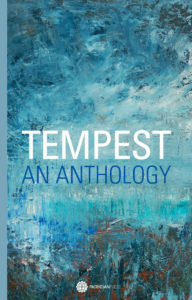 This diverse and varied anthology of short fiction, essays and poems includes contributions by Sam Jordison, Steven O’Brien, Justine Sless, Jules Pretty, Patrick Wright and poet MW Bewick as well as writers from the current Patrician Press stable. The contributors confront our present political ‘tempestuous’ times and some of the works have a science-fiction flavour to include dystopian, authoritarian and imagined worlds. The book is co-edited by Anna Johnson. The book was launched at the Bookmarks Bookshop in Bloomsbury, London on Friday, 1 March 2019 and as part of the Essex Book Festival at the Art Exchange Gallery in Wivenhoe Park, Colchester on Tuesday, 5 March 2019. A donation to Amnesty International will be made from the proceeds. We are delighted to have a new cover artist on board. Her name is Roz Strauss and her painting is an original piece in oils. Roz is an award winning artist from Australia, living on the Mornington Peninsula. She paints predominantly in oils, creating abstract works, but also enjoys doing complex realistic drawings. Roz can be found on Instagram at @roz strauss.art.